For the last four years and for the first time in many years, Wyandotte County has had one voice in Topeka. 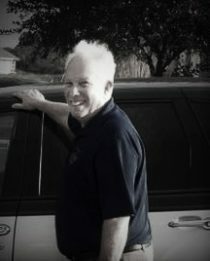 Prior to Steve Fitzgerald’s election to the Kansas Senate, the Dotte was “represented” in the senate by just another Unified Government Insider. In other words, we had no voice at all in either house until Fitzgerald was elected. We are still “represented” by UG Insider, Kathy Wolfe Moore in the house of representatives. Wyandotte County’s prior senator was a long-time lobbyist deeply embedded within the Secret Handshake Club that Wyandotte County tax payers know so well; that old familiar group whose members will promise just about anything to stay in power. Connected by marriage, old friendships, brothers-in-laws and cousins—it’s the definitive good-ole boy club. The Dotte is operated by a select few and the only way inside is to be chosen by a lucky relative already in the club. Elections aren’t so much rigged as they are lacking in choice. It’s been a bitter joke for as long as I can remember. Fitzgerald’s senate seat is being challenged in this election by another member of the UG Insider Club. Bill Hutton, part-time judge and long-time attorney, is another crony to the Mayor’s skillfully selected County Commissioners. The comfortable, if not fairly incestuous old alliances include the Mayor’s Chief of Staff and her WyCo attorney/judge spouse. Also on that exclusive list is another UG staff attorney, husband to Kathy Wolfe Moore—the UG’s faithful operative in Topeka. Cozy bunch, no? A long list of the Dotte’s famous 7th Street quid-pro lawyers and judges have funded Hutton’s campaign so it’s no secret that voters in the Dotte will be largely ignored, as they have been for the past twenty years. There is little doubt that most of them are members of the clandestine Protect the Partnership Coalition headed by Carol Marinovich, which exists for the sole purpose of keeping the Woodlands Racetrack shuttered. Hutton aims to squeeze the only true outsider from that circle and close it up, make it whole again—only UG Family and Friends allowed inside. Fitzgerald has argued for his Wyandotte County constituents a few too many times down there and the bunch of them are getting nervous. They aren’t used to having the people’s voice represented. They don’t like it. Noteworthy but not surprising in the Hutton campaign are the UG Commissioners who have contributed financially to get Hutton elected and get Fitzgerald out of their hair, including Mayor Holland, Melissa Bynum, and Mike Kane. Noteworthy and somewhat surprising is the old newspaper man himself, Merle Bland, pitching in to support the UG Insiders Club. Whodathunkit? In the past, Bland was known to make an occasional stab at neutrality. Why bother propping up that old facade anymore, I guess. Especially noteworthy, however, is that the majority of funds raised by the Hutton campaign were collected from lawyers and law offices around the state. If constituents in Wyandotte County are unfortunate enough to be tried in Judge Hutton’s court, they better hope like hell their lawyer contributed to Hutton’s campaign. Word on the street is that if a defendant has the audacity to defend himself in front of Judge Hutton, he’s as good as guilty—campaign contribution or not. And, God forbid a voter publicly campaign against Hutton. Ethics? What ethics? Ohhhh that’s right. 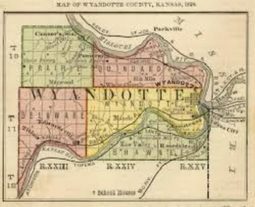 It’s Wyandotte County. Hutton made a recent public comment that Fitzgerald does not work well with local governments. I’m not sure if this was meant as praise or a warning to supporters of the UG Insiders Club but I interpret the comment as high praise and all the more reason to keep Fitzgerald in office where he can exercise legislative authority (as granted in the Kansas Constitution) over the runaway tax mongering that only serves the special interests of the Good Ole’ Boys club downtown. I think we’ve all had about enough of their empty promises and lame justifications about why they need more and more and more property tax dollars. Bill Hutton will fit right in with them. Truth be known, Hutton’s already a member of the oldest club in the Dotte. He proved it by promising to raise our property taxes and income tax. Sounds familiar, right? It’s what the UG does best. He refuses to openly support re-opening the Woodlands Racetrack because he can’t. Not as long as he is a card-carrying member of the Protect the Partnership Coalition. In spite of that, and in perfect UG Insider form, Hutton put a campaign sign on Woodlands property next to Kathy Wolf Moore’s sign, as if they both support the Woodlands. Because, guess what? They know it’s what voters want, even if they have no intention of doing what they are hired to do. They are, after all, carrying water for the Unified Government. They’ll say anything to get elected, just like their homies downtown. And then they’ll do exactly as Mayor Holland tells them to do or face the consequences, a’la Ann Murgia, the only rogue commissioner we have in that lot. We’ve been watching this play out for far too long in the Dotte. Worked successfully with the City of Leavenworth to stop the transfer of Gitmo terrorist detainees to Fort Leavenworth, organizing a meeting that was so well-attended the crowd spilled out of the large meeting room and into the hallway. Working with a local Sheriff’s office, Fitzgerald was able to get a large Federal grant to help with mental health issues in the community. Worked with city officials in Edwardsville to get a halfway house moved out of a residential area where many children reside. This remarkable success was accomplished within 48 hours of the Senator finding out about the objections of Edwardsville residents. Worked relentlessly with city officials in Kansas City, Kansas, Fitzgerald was able to get unanimous support for the special use permit to reopen the Woodlands. Supported a bill that will require a vote of the citizens of Wyandotte County before the UG can raise property taxes at a rate higher than inflation. Oh wait… on this one Fitzgerald did not work well with city officials. He worked for the citizens he represents. Hutton promises to rob the voters of their right to say how high our taxes are raised. Go figure. The last thing we need in Wyandotte County is another member of the UG Insiders Club and the tax increases that Hutton has promised. Senator Fitzgerald represents the people in Wyandotte County. We need to keep him in Topeka watching out for us. Hutton went across the street to his buddy, Judge Mahoney (husband of the Mayor’s Chief of Staff) to override the Commission’s denial of a special use permit for a known drug house in Argentine. It’s old school politics WyCo style. Activist lawyers and judges looking our for special interests and ignoring the welfare of Wyandotte County citizens (again). Bill Hutton, Good Ole Boys, It's Just WyCo, Shysty Lawyers, Wyandotte County. Bookmark.